I must admit I get a little disturbed whenever I meet someone who is mailing out 50,000 mailers per month. Occasionally I feel a little awkward. The whole time they are telling me how they are doing deals at rapid pace and on course to have the biggest month ever. My heart is congratulating them for having real handle on their marketing. Meanwhile in the back of my mind, I remember what it was like to be mailing thousands of mailers each month. As we applauded for the “industry standard” of 1% response rates, I couldn’t help but think of the 99% of mailers that are wasted (and this is on a monthly basis). Not to mention that your next deal is kind of like “luck of the draw”. This thought kept me up many nights. Sure we were profitable, but what if….I mean just what if there was a way to mail more successfully. What if there was a way to target a specific group, with a ultra specific message that with each mailer increased the relationship around one core proposition? What exactly would that look like? 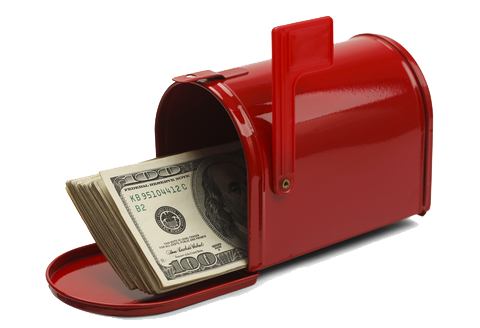 Welcome to the world of making big money from small mailing lists. Segmented marketing is no new tool in the world of advertising. 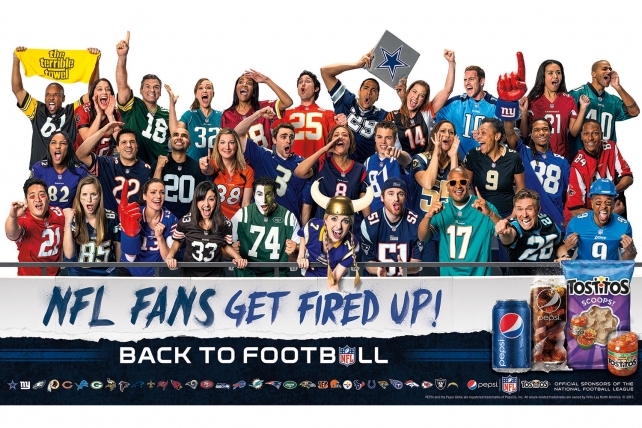 Pepsi learned from early on that if you find a group that gathers every Sunday to eat greasy food, potato chips and watch football, they are likely to also consume a lot of Pepsi as well. Rather than blindly advertising your cola product to weight lifters and marathon runners (who usually dont want it at all), it made sense to figure out who is most likely to consume my product (or want their service) and not only who is most likely but will also likely be around others who are most likely to consume and on top of that they consume it frequently. They could actually predict how many people would consume their product this Sunday. This led them to further realizing that in towns where these games occurred, they could predict how many ounces of this product these raving fans would consume. If I am going to be a property buyer, I want to buy property from guys who own a lot of property and also for my property sellers to hang out with other property sellers who own lots of property. This gives us the best chance of buying properties from one segment of our market. Once we identified a target market (aka our ideal avatar) it was time to create a message that resonated with them. This was when the market was peaking, mailing was saturated and sellers wanted platinum prices for their scrap aluminum property. Its like if your fishing, you can just go out and troll the lake and hope one bites or you can look for a school of fish, go get in front of them and increase your chance of catching multiple fish without having to burn up hours on your motor and gas in your tank. Bottom line, there was enough money to be made in one city within a 5 mile radius that it made more sense to play here than it did to keep chasing deals across three counties. This is just one major market we segmented to. We knew these people were being bombarded with mailers from Realtors and Investors. This put us in a situation where we didn’t have a huge influx of deals, however the spreads were thick and when ever a lead call came in, it pretty much was a done deal. Largely because next to homeowners (who didn’t want these type of properties) we were the ones paying the most cause we knew what type of property could be placed there. Here is how you transition from your mass mailings to segmented marketing. Pick the territory from your mailing list where you tend to have a lot of transactions or better yet, wherever your largest check has come from. I prefer to start with areas of great demand. Where there is a pulse. The type of area where you want to take your spouse to dinner on Friday. Once you have identified your area, discover your own minimum criteria for this area and segment your marketing. This info is in the sales data. Inside of your target market, what properties are mostly probable to sell and for under market value? For us, it was mostly based on future developments so one of our minimum criteria was it had to potentially make us a minimum of $25,000 assignment fee and therefore we could do a minimum $100,000 profit if we had to develop. 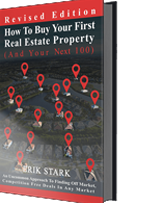 For example, you might look at your identified area and come up with a total of 35,000 properties. Now you want to ask yourself, “of all these people, who is most probable to sell their property soon, and at a discount”? Our first mail campaign would identify who, out of these 35,000 properties are the areas largest landlords. Its not likely all 35,000 will be who you are looking for. Lets say that there are 46 guys who own a total of 1200 properties in this area of 35,000 people. …are any of these currently in probate? …which of these have the lowest 1/3rd tax assessed value? …what is the oldest recording date of these? …which properties look like they have not been updated since they were purchased? …do any of them have outstanding code violations? These questions set the stage for our minimum criteria that we use as a baseline to determine who our most probable prospects will be. Somewhere in the data is the information that will create a “best case scenario” of who is most probable to sell their property. This data is where we make big money from small mailing lists. There is your first segmented marketing campaign. Next you might look into who of these 35,000 people has inherited their property. This is generally found by looking for quit claim deeds that were recorded with a death certificate attached. Who is mostly likely to need my service that will allow you to identify a minimum criteria for these types of opportunities and then segment them out? Check out this video that walks you through the process of making big money with small mailing lists. Tell me, what are some of your past deals that you can now recognize as having this minimum criteria? This is a good starting point for you to begin your transition. If you need help finding your target market, segmenting, creating your message and implementing you can message me privately at Erik@TheRealErikStark.com or post to the FB group and Ill create a video to answer your questions.